365 DAYS OF PINTEREST CREATIONS: day 222: and p365 hits the road again! day 222: and p365 hits the road again! day 222 and the peeps and i are off with a couple of dear friends to have some midweek fun while my sweet husband heads to work. we are going somewhere i have never been before, the tawharanui peninsula [map] it's supposed to be a beautiful part of new zealand and i am excited to explore it with one of my dearest friends, lana. we are also taking one of polly's sweetest friends, hayley. the five of us are heading up their to stay until thursday and i am reliably informed there is NO cell coverage in the area .... so there will be no blogging, BUT there will be creating! amazingly i could fly to singapore and still be able to blog each day, but if i head an hour and a half north for relaxation i can't :) one day the entire country will have cell coverage and i will be able to blog till my hearts content no matter where i am in this fine country! anyway (!) 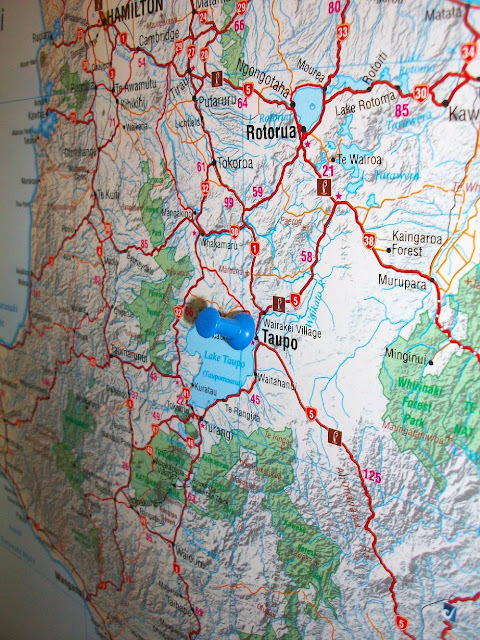 all this travelling got me to thinking about the peeps and knowing where they are going and where they have been ... a while ago i pinned a great idea that cements the above. 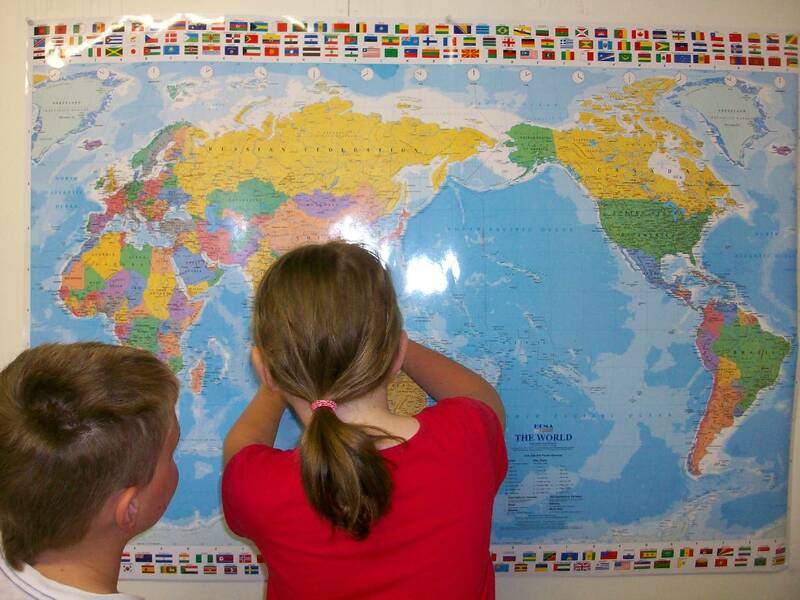 essentially you put a big map on the wall and the peeps add push pins to the places they have travelled. this idea is not new and i pinned it from jesse papirio and i loved how she pinned the places she had been in blue and the places she wanted to go in yellow. 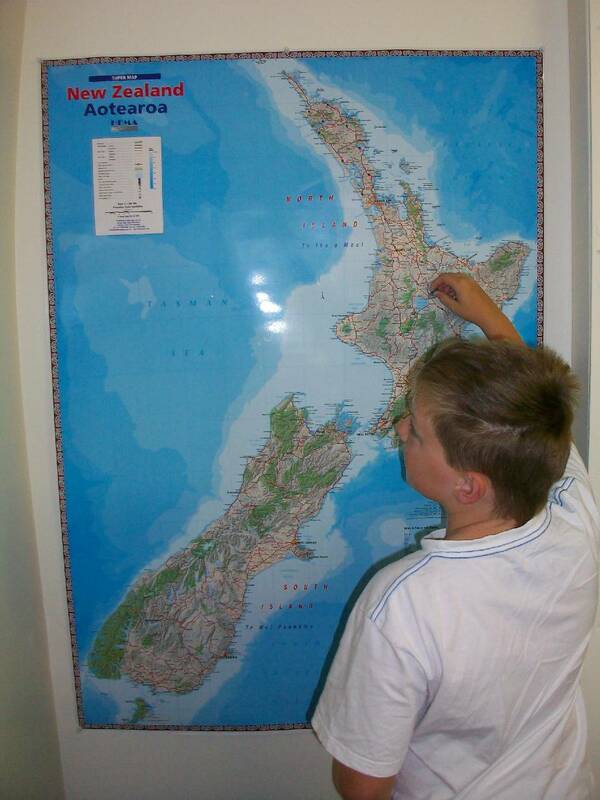 i purchased a big map of new zealand and a map of the world and put them up in the classroom. the peeps put pins in all the places they had been in blue and then as we study and they find out about new places they can add the yellow pins for the places they want to go in the future. outcome: it's one of those simple ideas that is completely underrated. already it has shown rewards for my youngest peep who has a greater appreciation for scale and distance and for just how big the world is and how many places she can go! what an easy idea for the classroom walls and it is already paying educational dividends :) LOVE pinterest creating! my thanks to jesse papirio for acting on this idea and then pinning the results to pinterest, it inspired me to get busy and do my own. Hi Kirsty, Hope you enjoy your roadtrip and your relaxation break. Tawharanui Peninsula must be paradise because the whole of NZ is beautiful. I remember the first time I saw Lake Taupo...It took my breathe away and I never wanted to leave. The map is an excellent idea! thanks for repinning. Great idea. Going to laminate a map and give to my daughter as a gift with fun tab pins. She wants to travel the world. A college Freshmen and has been more places than I ever imagined already. Don't forget to pin Bermuda, Polly! Jem and Atticus would like you to visit one day. :) Have a super time on your next adventure! Hannah is planning a trip to NZ this autumn...not sure if it'll get off the ground!! Love that Polly pinned Singapore!